We love it when our clients come in with an “idea” in their heads, they always ask, “Is this something you can do?”. Such was the case with our bride Chelsea. She wanted to surprise her fiancé at the reception with a groom’s cake. Her inspiration was his favorite artist Romero Britto. There were two particular pictures she wanted to make sure were represented on the cake. All of the details on this cake were inspired by Brittos bright and vibrant work. Ron was very pleased with the end result. 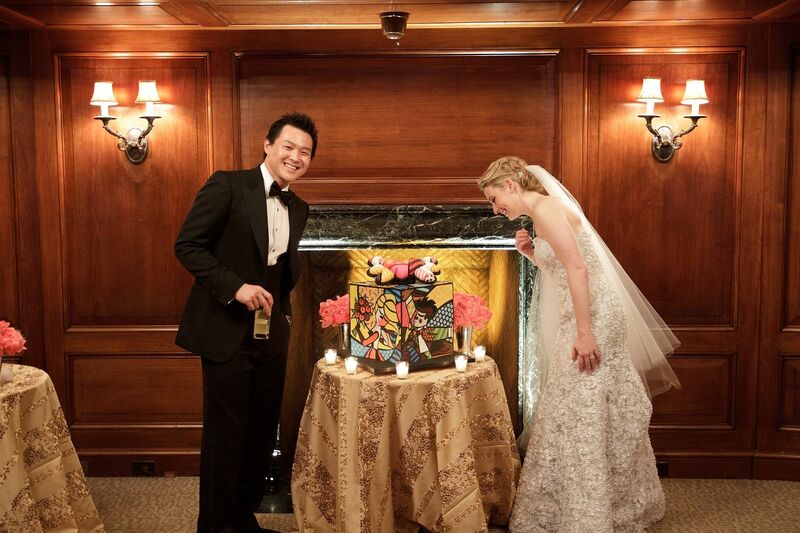 The cake was very colorful and we captured the moments Chelsea wanted. Im so proud to be brazilian!!! Brito is a famous brazilian artist and we here we just love him. This cake was amazing. Im sure he would be proud for this tribute. Would love to know what techniques were used to create the sides of the cake, however, if you don’t want to share; I completely understand. This is an incredible work of sugar art! Wow, now that’s impressive! I would like to know the technique also. Wow! Nice job Ron and Staff! 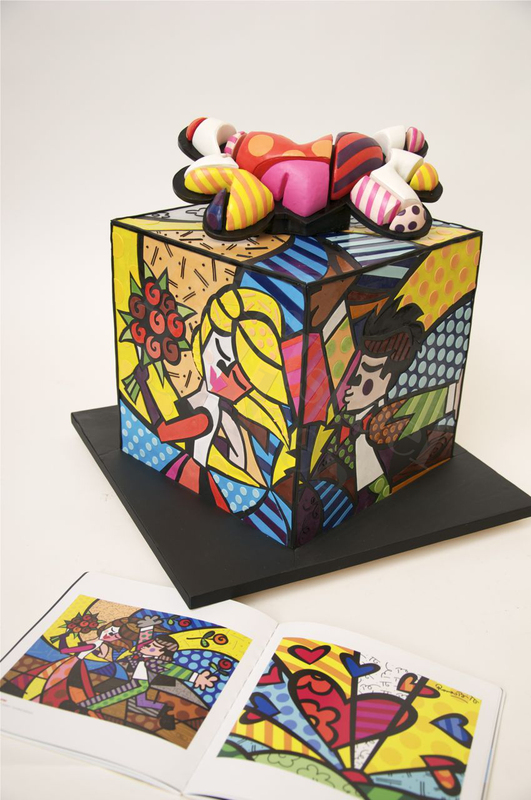 The cake is really amazing, i’m very proud to see a brazilian artist (Romero Britto) inspiring you, Ron! Gorgeous cake….a lot of work, very well done! I love Britto’s art and this cake is perfect for Britto’s Birthday! This cake is amazing! Love it!!!! !